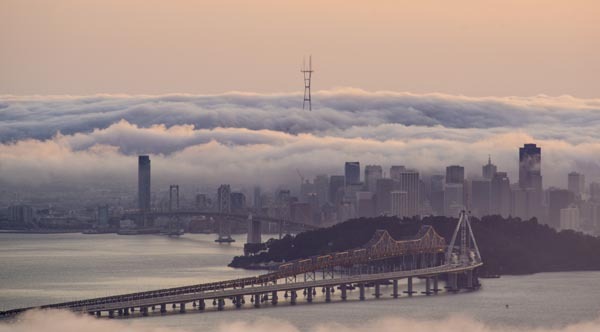 New East Span of the San Francisco Bay Bridge under construction during a foggy April afternoon in the Bay Area. 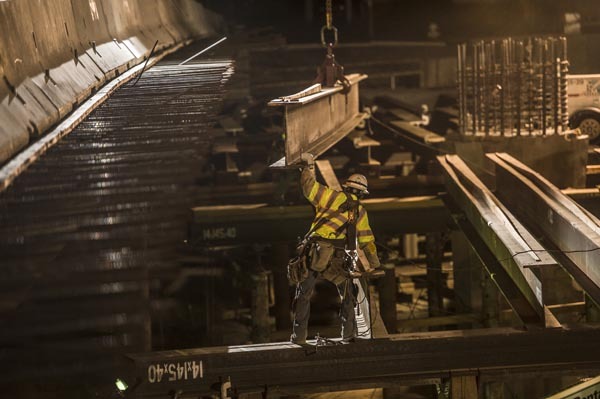 New bridge will include a pedestrian and bike paths that will connect San Francisco and Alameda counties. 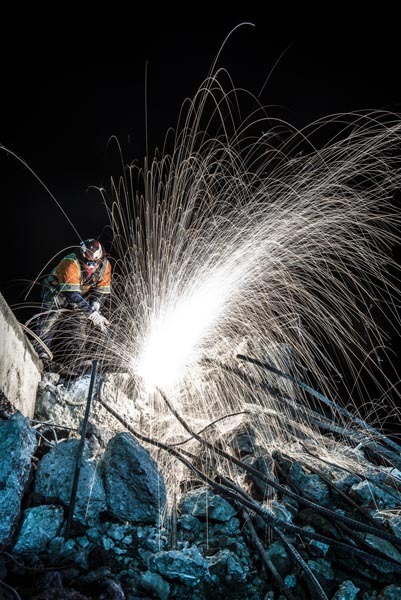 An unknown worker cuts through re-enforcing rebar in the concrete rubble of a demolished bridge on State Route Four in Antioch Ca. The bridge was demolished to make room for the widening of the Highway and the addition of a light rail system. 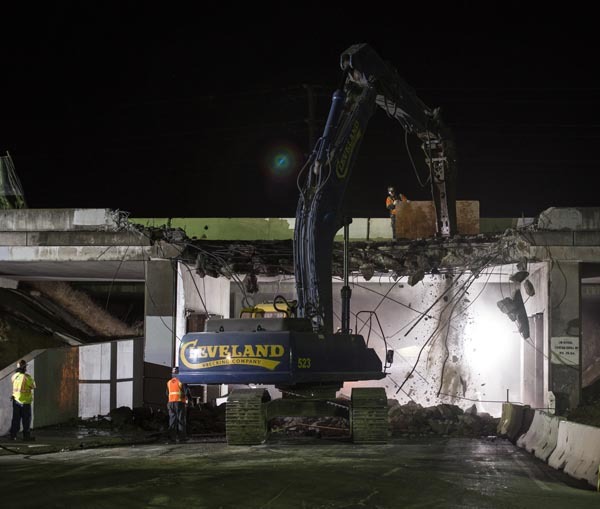 A large excavator fitted with a hydraulic hammer breaks down a section of concrete bridge on State Route Four in Antioch Ca. 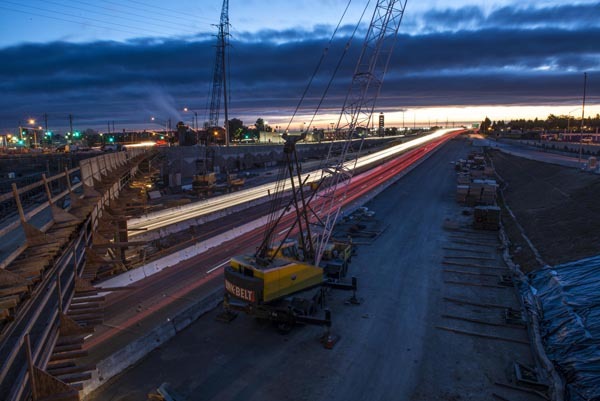 The bridge was demolished to make room for the widening of the highway and the addition of a light rail system. 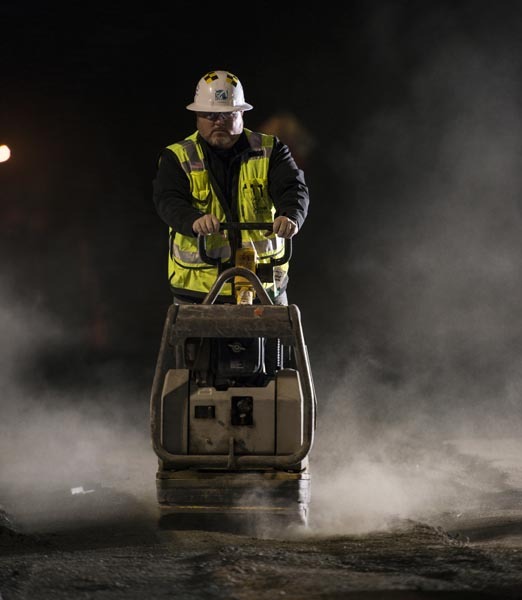 Unknown worker uses gravel compactor to slat ten gravel that was disturbed during a night time highway closure. 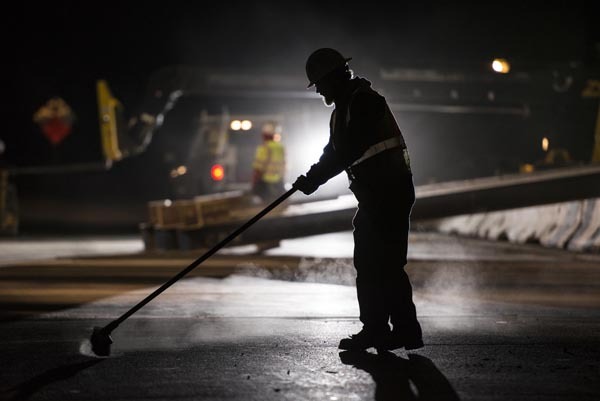 Unknown worker sweeps up State Route 4 after a quick four lane closure during the night for construction. View of State Route 4 from the top of a 145ft tall crane in Pittsburg Ca. 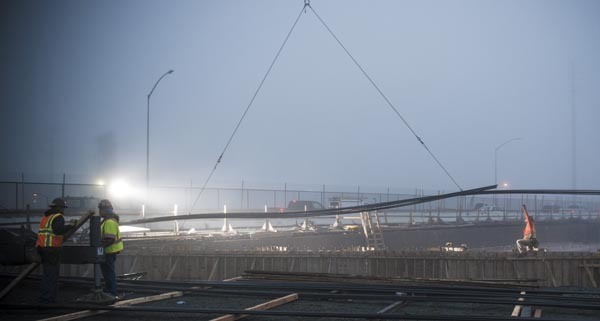 Workers install rebar on a foggy morning in Pittsburg CA at the Loveridge overpass. 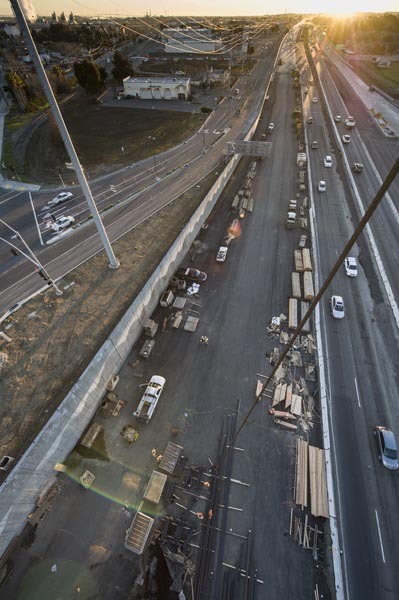 Workers install I-Beams for the construction of a new bridge over State Route 4 at the Contra Loma site. 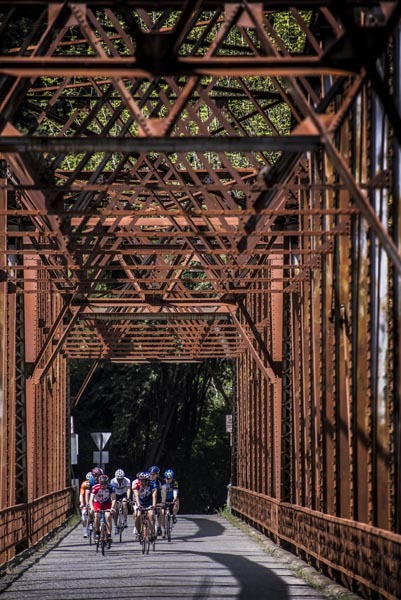 Cyclists ride across an old bridge near Graton, California.